A series of war games known as Friendship 2016 kicked off Monday, opening at a special forces academy in Cherat. During the ceremony, Russian forces showed the Pakistanis their weaponry, including the VSS Vintorez sniper rifle and the NRS-2 combat knife. 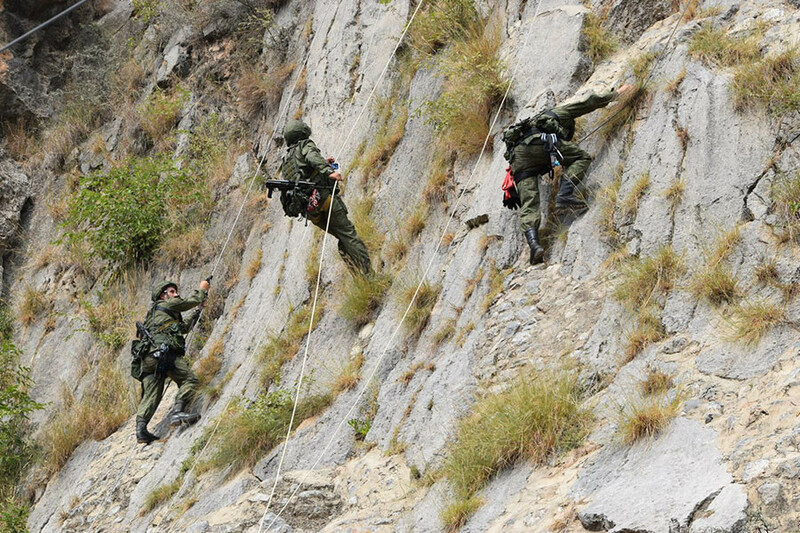 On Tuesday, over 40 soldiers from the two countries took part in a mountain training exercise. 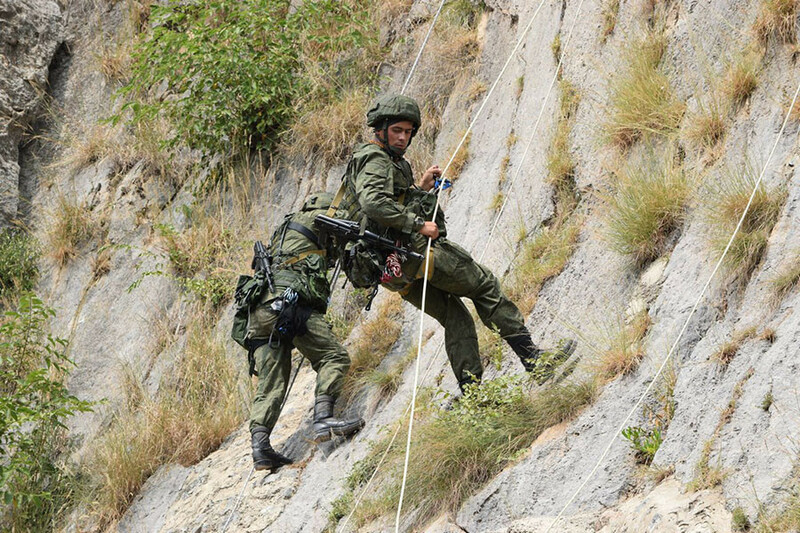 Carrying equipment weighing around 15kg, representatives from the Southern Military District’s mountain infantry brigade based in Karachay-Cherkessiya demonstrated how to make a safety mechanism using a station knot. 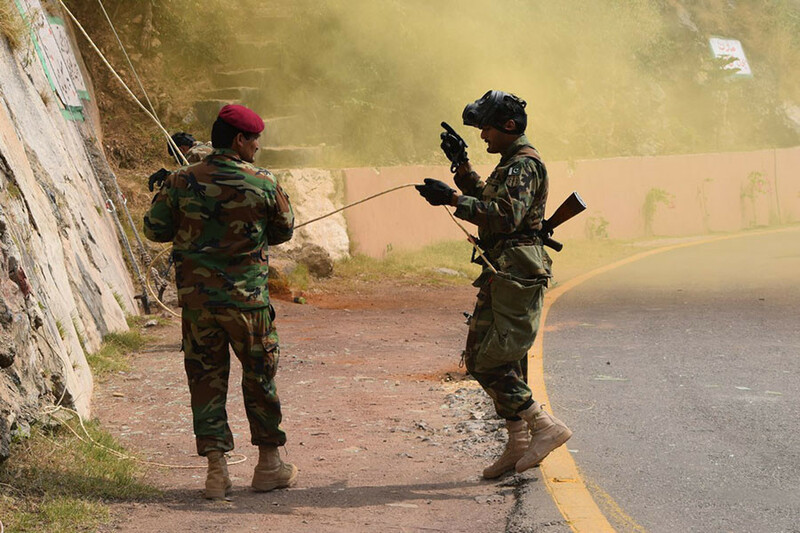 Their Pakistani colleagues returned the favor, showing them another safety mechanism using a special rope with three knots. Both systems would come in useful under extreme circumstances, where access to resources is limited. Overall, some 70 Russian and 130 Pakistani troops are expected to take part in the Friendship 2016 war games, which are due to last until October 10 and will take place at an altitude of over 4,500 feet. Pakistan and Russia have been rivals in the past, dating back to the Soviet war in Afghanistan, where the Pakistanis backed the Mujahedeen rebels. However, these joint exercises may represent a shift towards closer Russo-Pakistani relations. In 2014, Russia lifted its arms embargo on Pakistan, and in 2015 Pakistan used the opportunity to buy four Mi-35 gunship helicopters. Also in 2015, Chief of Army Staff General Raheel Sharif visited Moscow and laid a wreath at the Tomb of the Unknown Soldier. 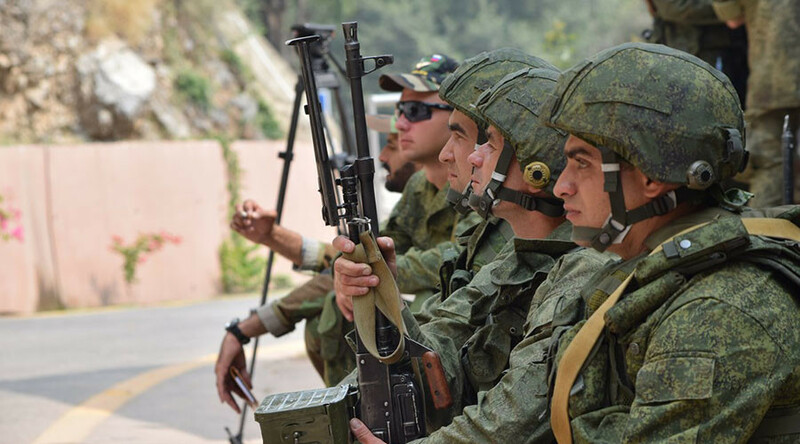 As well as improving their efficiency in mountainous areas, the Russian and Pakistani militaries both have a desire to fight militant groups on their territory. 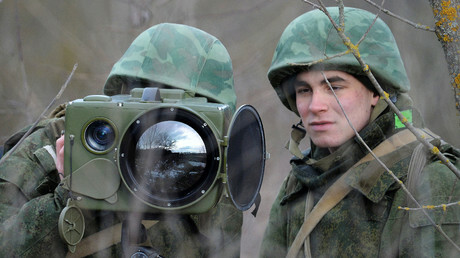 The war games come at a time of renewed tension between Pakistan and India, a long-term Russian ally, over the disputed province of Kashmir. However, the exercises are being held far from the contested areas.